More information is now at your fingertips. 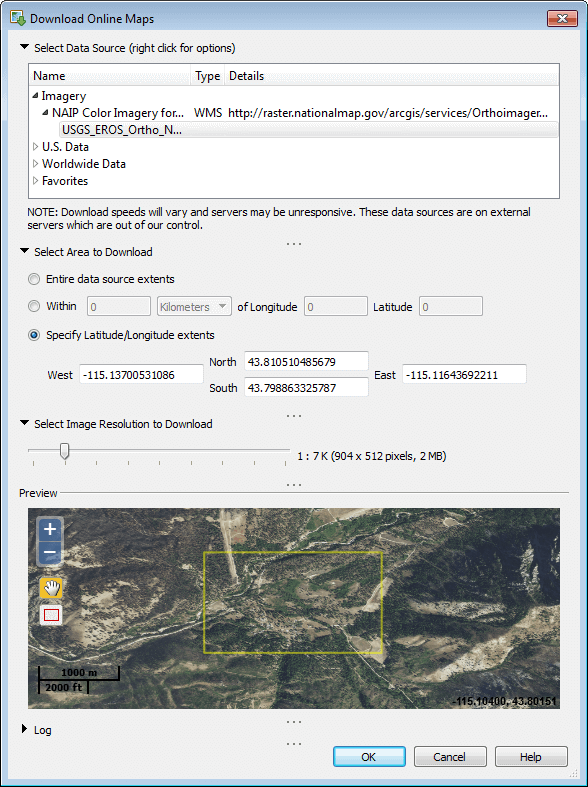 Download image layers from hundreds of free online Web Mapping Services (WMS) through MapViewer’s new, integrated WMS browser. 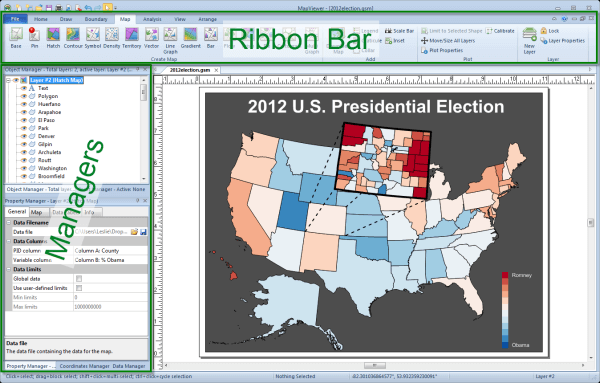 Connect to online data sources, pick the layers of interest you want to download, and MapViewer seamlessly downloads the images into your projects. 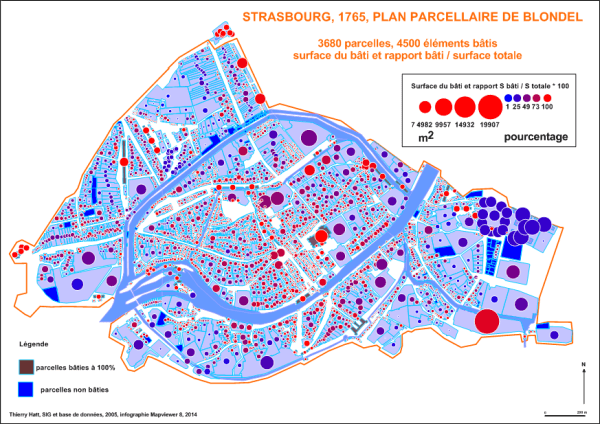 “The new interface looks great and I am very happy to see the WMS support.” – Tobias Spears, Consultant, Spears Agile Solutions, Inc.
MapViewer’s new WMS browser efficiently locates and downloads high resolution images to use as base maps. It’s finally here! 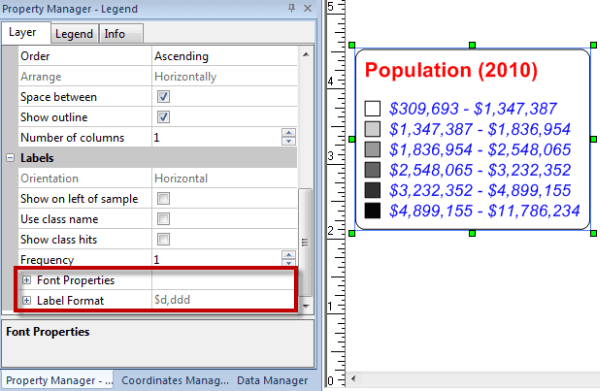 Create the same visually-dynamic choropleth maps and territory maps you always have, but use text variables rather than assigning these to data values. Eliminate tedious data reformatting forever! Never reformat your data again! 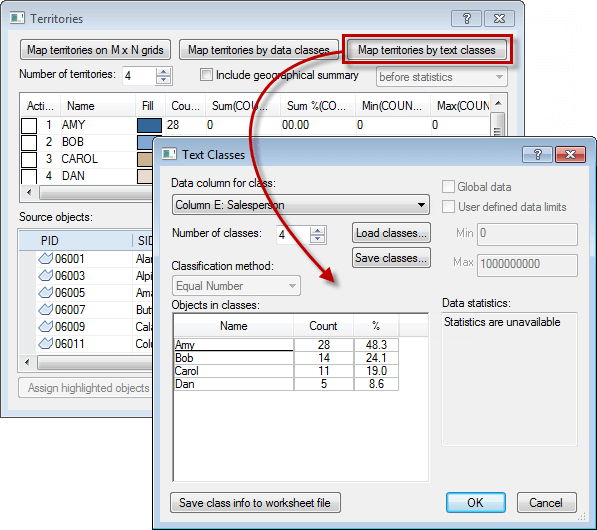 With the ability to create choropleth maps or territory maps from text classes, you no longer have to assign numbers to your text classes just to map them. 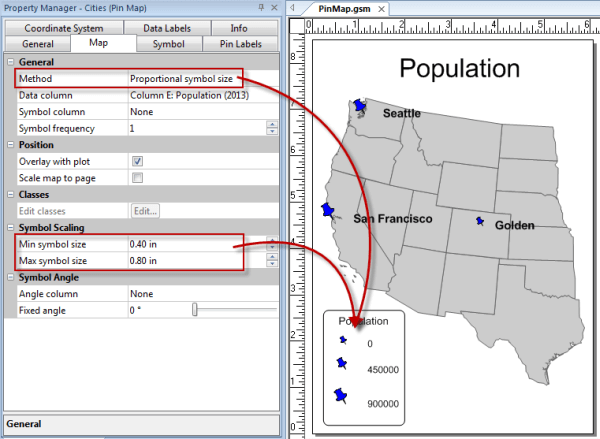 Customize each of your label sets by moving/formatting them as a unit, or customize each individual label’s location and formatting. 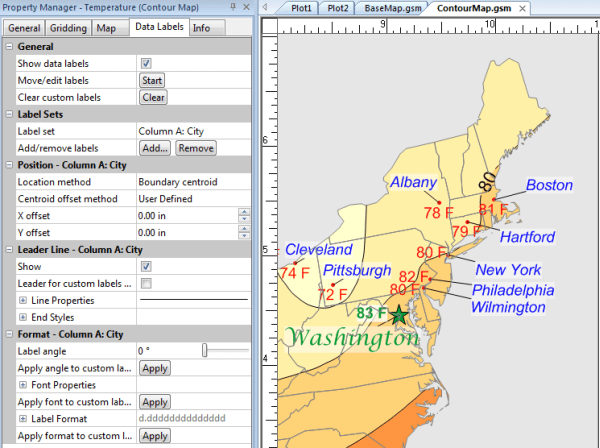 MapViewer 8 makes it quick and easy to create a unique and informative graphic. Have trouble remembering where your data files went? Forget to send the data files with the GSM file when you’re sharing your project with a coworker or technical support? Never again. 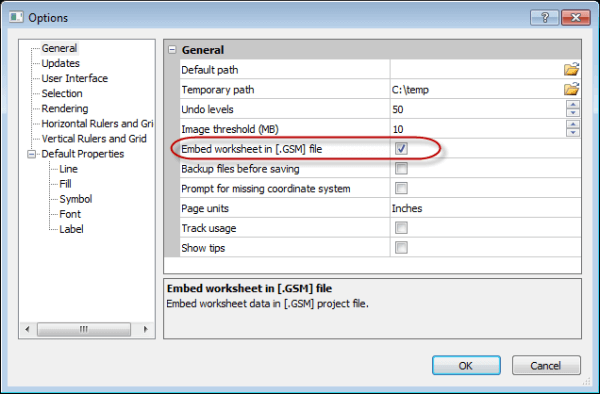 The redesigned GSM file allows you to embed data so one file is all you need! 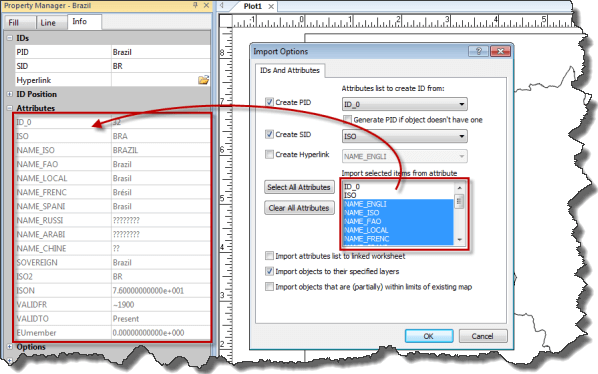 Benefit from a flexible new coordinate system dialog that lays out the systems in a more intuitive fashion. 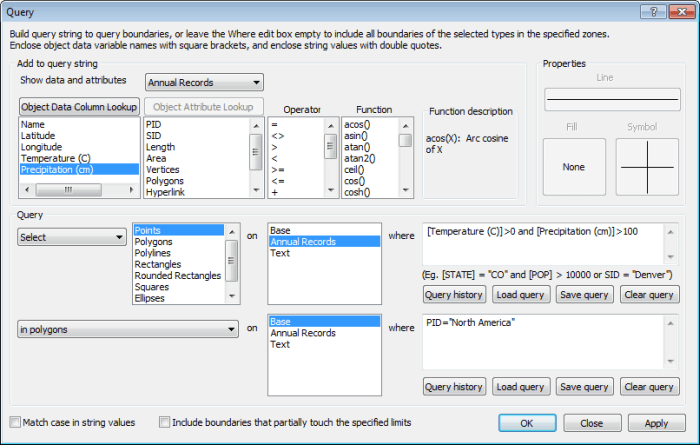 Additionally, new functionality has been added to search for coordinate systems to make it easier than ever to find your desired system. 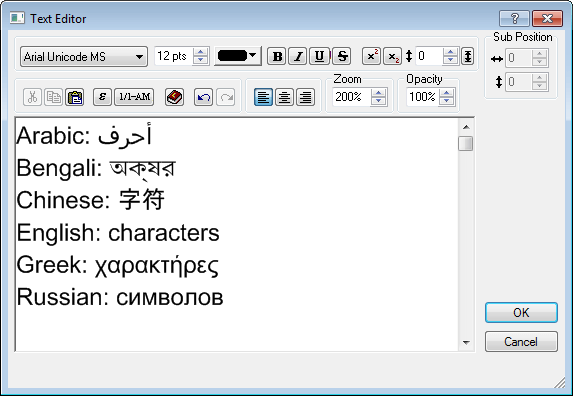 Surfer users will find this dialog familiar and will delight in the improvement, since this dialog and Surfer’s are one and the same. 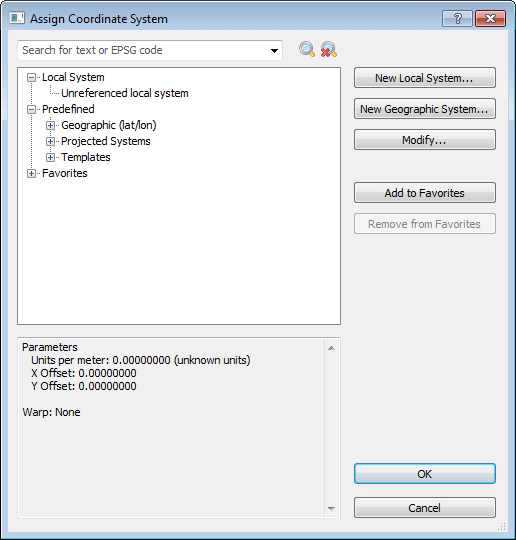 Choose from a number of pre-existing coordinate systems or create your own using MapViewer’s projections and datums to easily georeferenced your plot.